General Motors' announcement it is selling Vauxhall to Canadian firm Magna has failed to quell fears of job losses at UK car plants, unions say. "Uncertainty surrounding the long-term future of Britain's car plants will continue," said Tony Woodley, general secretary of the Unite union. Magna said it was committed to keeping Vauxhall's Ellesmere Port plant open. But doubts remain about the firm's Luton plant. The two plants account for most of the firm's 5,500 UK workforce. 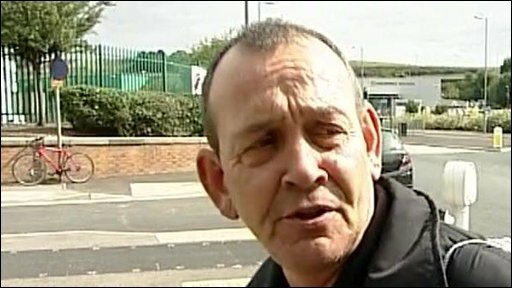 The car parts maker Magna said it would honour existing contracts at Luton until 2013, but has not given any commitment beyond this point. Business Secretary Lord Mandelson said he was "immensely relieved" the uncertainty had ended - there had been reports in recent days that GM would not sell at all. He said he had received assurances from Magna "that the futures of both plants are secure." But Mr Mandelson said all of Opel's and Vauxhall's workforce across Europe would "face restructuring." He added there was "British money on the table" should the company need financial support. The Luton plant has a contract to build Vivaro vans as part of a deal with Renault. The French carmaker has a clause allowing it to pull out of the contract if there is a change of ownership of GM Europe. Magna says it is working on a business case to keep the Luton plant open beyond 2013. John Smith, GM's group vice president of corporate planning and alliances, said talks were going on between Renault and Magna. "We do a great bit of business with Renault which we would very much prefer to carry on into the indefinite future, thought that's not entirely our decision." Under the terms of the deal, GM will keep a 35% stake in the new company that includes Vauxhall and Opel. BBC business correspondent Martin Shankleman said the Magna option was the one UK unions had opposed as they had feared that the UK could be at the forefront of any job losses. Some observers have criticised the UK government, arguing that it has been outmanoeuvred by its German counterpart, because it has received specific commitments about safeguarding German jobs. Magna has said it will not close any plants in Germany. 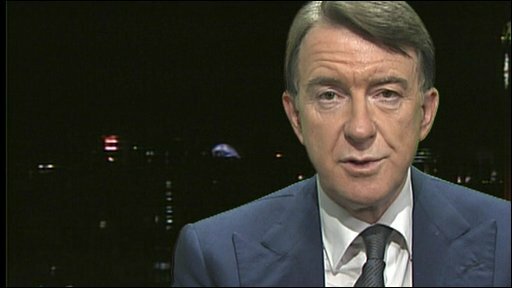 Peter Mandelson: "We will take on our fair share of financing this deal"
This pledge meant that the German government put pressure on GM to sell Opel and Vauxhall to Magna. It also provided a 1.5bn euro ($2.2bn; £1.3bn)bridging loan to keep Opel operating in recent months. Last month, it also said it would lend Opel 4.5bn euros if the carmaker was sold to Magna. Business minister Pat McFadden told the BBC that the UK government has "nothing to apologise for", and that it has done everything it can to protect UK jobs. "We have been in close contact with all parties throughout, including GM and the US, and Europe and all the potential bidders. "We will continue our discussions with Magna. They have told us of their commitment to continuing production at both Ellesmere Port and Luton and we will work to make sure we get the best possible outcome for the UK," he said. With the UK public finances so stretched as a result of stimulus spending during the recession, some argue that it simply could not offer the same kind of support that the German government provided. But Dr Peter Wells, at the Cardiff Business School, says "Germany may well come to regret [its financial support]. History tells us ploughing money into a company does not necessarily secure its future. "I am not sure Magna's business case will hold water."